Our hearts go out to the victims, their families, and the population that has been affected by this tragedy. 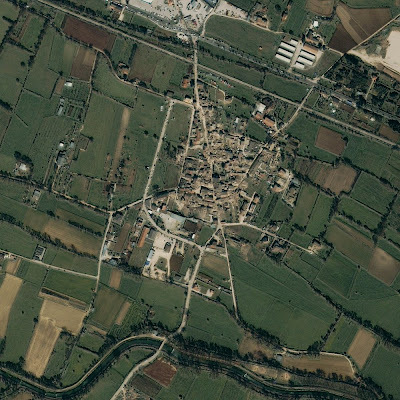 Early Monday morning, the Italian region of Abruzzo was hit by a 6.3 magnitude earthquake. The epicenter of the quake was in L'Aquila, a town about 100km northeast of Rome. According to the latest news reports, authorities fear that more than 200 people may have lost their lives. We have just received post-earthquake IKONOS imagery from GeoEye, one of our commercial satellite partners. You can view this imagery by downloading this KML and viewing it in Google Earth. You can also find the imagery on a dedicated landing page created by the Google Italy team hosting links to Google News and Google Maps, as well as some background information on earthquakes and seismic activity and information about fund-raising initiatives for relief efforts. We hope this will give people a better sense of what's happening in the region. We will keep updating the KML as we receive and process more satellite imagery. Save the KML to your "My Places" to see the imagery updates.